As it was incredibly difficult to use the Weebly blogging platform, I have created a Wordpress account. This should encourage us to post more often. This was written by one of the Makey Makey founders. This website has posted a lot of great ideas and resources for coding. All the ideas you see below were copied directly from the website I linked previously. Here's a poster presenting all the coding challenges. Learn how computers get physical by running your own code on a computer you wire yourself with LED lights and motors. Get started at raspberrypi.org. If you are looking for online resources to promote reading, these sites may interest you. Here's an example of what #3 can look like. Please see Ms. Hong or myself if you need support with logging in. Coding should appear on the curriculum next year. Here are some good sites and resources I have gathered in case you'd like to learn more about it. Please add a comment to this post if you want to share resources with us. I'm sure there are a lot more than this! Any other questions? Just ask me and I'll try to help. Did you know that your iPad can also become a document camera? This blog post could be of interest to some as it describes the various apps recommended for this. So far, I've only played with one of the apps they recommend (IPEVO Whiteboard) but it looks promising. My next step is to find an affordable way to hold the iPad in the air. I have come across this product but haven't purchased anything yet. If you have another suggestion, please let me know. Let me know if you'd like to experiment with me. I always enjoy trying something new with others. The following two sites are great and may interest some of you who are looking for new ways to teach French to your students. Both of these will require that you set up an account. What I've done for now is create one for the class to allow my keen students to experiment with it. Come see me if you have any questions. I'll be happy to help! How are you incorporating technology in your classroom? Here's a very informative videoclip that will explain to you how to use the SAMR model. It features a simple example and teaches you how to move up the ladder when doing writing with the students. A group of teachers had their first "Tech and Tea" meeting today after school. What does a meeting like this look like, you may ask? We talk about the challenges we have when trying to use iPads in the classroom. We share apps we like. 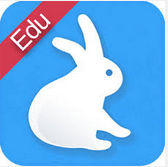 Today, we learned about the following app, which was recommended to one of us by someone from Seymour Elementary. Some of our school iPads may have this app installed already. If you're curious to know more, talk to one of us!